This is a second blog post from Rick Atterberry and me. We recently attended: Implementing Youth Emergency Preparedness into Your Organization. Sponsored by Citizen Corps. FEMA has had a Children’s Working Group since 2009. The United States has had 34 presidentially declared disasters in 2011, noted Andrew Velasquez, FEMA Region V Administrator. And we all know most disasters are not presidentially declared. In any case, the frequency of disasters set the tone for the rest of the conference. For preparedness messages, we are in for the long game. For people to practice disaster preparedness, we must have cultural change, just as the seat belt usage was a cultural chance. Because disasters occurred more often in this decade. Konstantine Buhler, founder of Always Ready Kids, age 22, (www.alwaysreadykids.org ) calls his generation the “disaster generation.” It will be that generation and younger who will adopt disaster preparedness. In the conference, it became clear, that we should look for ways to include youth on disaster advocacy groups such as Voluntary or Community Organizations Active in Disasters and Citizen Corps and invite them to have a person at the table. In the long-term effort, we need to be very organized to take the message to the schools. Develop or clarify the mission, vision, and goals for youth preparedness programs if you want them into the schools. Be prepared to approach the schools from a top, middle and bottom approach, and involve parent teacher organizations. Think about assemblies with energetic programs with characters, if possible. Be very organized and flexible. If you can win one principle, the word spreads. 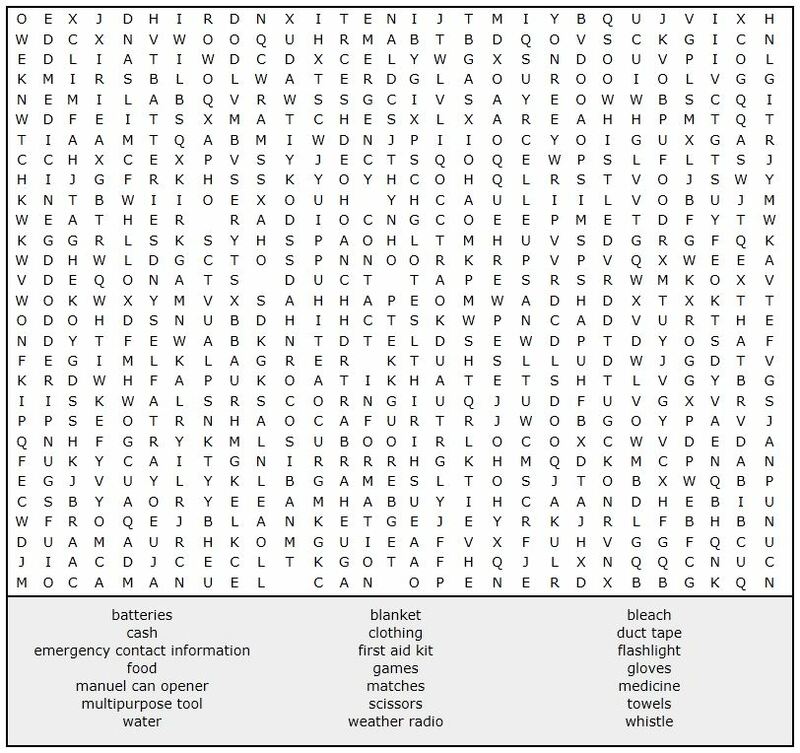 Catalogue of Youth Disaster Preparedness Resources is located with other resources at http://www.citizencorps.gov/ready/kids.shtm . Sgt. Kevin Sweeney, Michigan Citizen Corps does great work implementing programs. He makes a great conference workshop speaker if you can catch him. Jackie Miller with Ready Houston has great youth oriented programs, and Tod Pritchard, Wisconsin Emergency Management program has a ready to use STEP (Student Tools for Emergency Planning) program. He’s already thinking about STEP 2. In the end, any kind of preparedness training may give them the confidence to handle any emergency better. It’s a matter of culture.